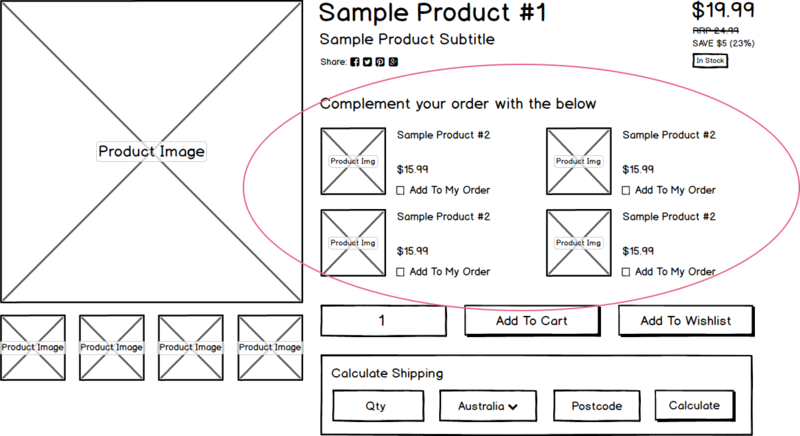 This tweak will add cross-sell items to the product page so customers can easily add additional products to their cart. Adding cross-sell items are a great way to generate extra revenue and recommend additional products. The cross-sell items that are checked will be added to cart when the customer clicks the 'Add to Cart' button. The Cross-Sell add-on is required to setup and display cross-sell products, this can be installed for free through the Neto Add-on Store. When logged in to your Control Panel navigate to the Add-on store by clicking Addons in the sidebar. Locate the Cross Sell Products add-on under the Product Management category. Click Install and when prompted by the pop-up click Install again to begin the installation. Open up your product template at the following location: /httpdocs/assets/themes/[THEME-NAME]/products/template.html. Paste the following code snippet at the very top of this file. // Set a 1 or 0 quantity based on whether the checkbox is ticked. Open up your buying options template at the following location /httpdocs/assets/themes/[THEME-NAME]/products/includes/buying_options.template.html. Take a copy of your existing buying options form <form class="buying-options">...</form> (This usually begins under the multiplier_qty block). Keep this copy seperate, you'll need it for a later step. Replace your buying options form with the following code below. In the [&percnt;param *ifempty&percnt;] parameter of the cross-sell code snippet paste in your old buying options form code from step 4. This is the buying options that will display if no cross-sell products are assigned to the product. This code snippet uses our default buying options logic. If you have any customisations to your buying options logic they will need to be applied the logic in the footer parameter ([&percnt;param *footer&percnt;]). Open up your theme stylesheet, typically found at the following location /httpdocs/assets/themes/[THEME-NAME]/css/style.css and insert the following class at the end of the file. When the 'Add to Cart' button has been clicked, all quantities from cross-sell product will be erased. For a customer to re-add more cross-sell product to the cart, these values will need to be re-entered.